Developing courageous and highly effective leaders and teams from the inside out- presented by the Daring Venture. Leaders with Heart is based on curated research from positive psychology, emotional intelligence, visioning and Mastermind concepts. Leaders participate in a powerful 360 assessment tool that helps reveal current leadership stance and reactive style. Profiles provide insights and affirmations around a strengths based approach to a more creative and empowering stance. Each leader will participate in an introduction facilitation and receive confidential, professional interpretation by certified facilitators. Through monthly experiential group sessions, leaders/teams learn and try out new practices leading to more insightful, positive, creative, and courageous interactions with self and others. Each session includes exercises, videos and discussion and is co-led by Jenny and Molly. Private coaching helps leaders unpack insights, self awareness and practices that emerge from The Leadership Circle Profile and Coursework. Through action and reflection, leaders are able to engage in practices that result in more positive, creative choices, and connected behavior. Dare to Lead is a skills based actionable playbook for developing brave leaders and courageous cultures. 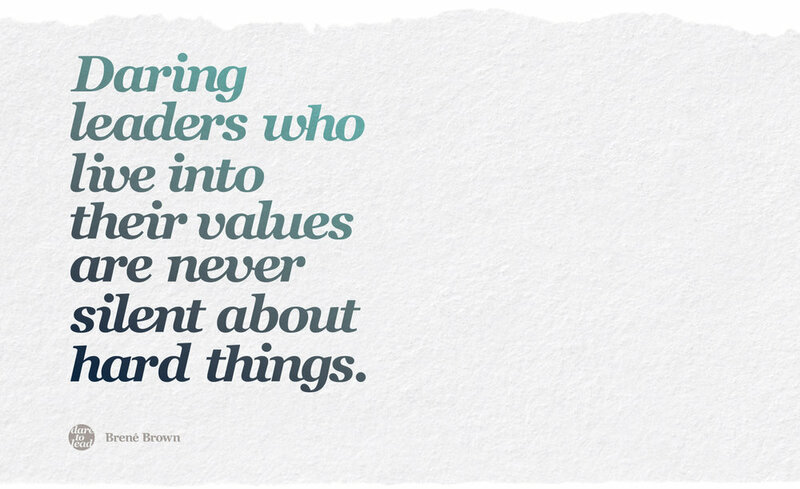 Daring leadership is a collection of skill sets that are 100% teachable. It’s learning and practice that requires brave work, tough conversations, and showing up with our whole hearts.cultures with Heart. Based on the research of Brene' Brown, Dare to Lead is a transformational program for leaders and teams. Through experiential group sessions, leaders/teams learn and try out new practices leading to more courageous interactions with self and others. Each session includes videos, exercises and discussion and is co-led by Jenny and Molly who are Certified Dare to Lead™ Facilitators. Private coaching helps leaders unpack insights, self awareness and practices. Through action and reflection, leaders are able to engage in practices that result in more courageous and connected behavior.